30.09.2013 Russia: Works in Saransk to last until 2017? It was one of the very first projects to see groundbreaking, but works didn't even last a year before the site was abandoned. 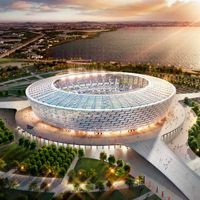 Now a new construction tender is expected to resume works in early 2014, but the stadium won't be ready until FIFA's deadline of 2017. Built by Chinese workers, the country's new largest stadium is done three months ahead of schedule. It met surprising problems though, with water and electricity shortages not allowing proper operation. 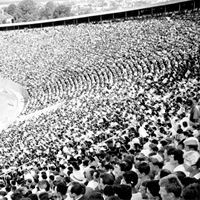 It was to be among 1962 World Cup hosts, but wasn't ready until 1964. 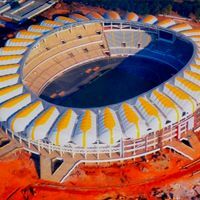 Now things are looking a lot better – the stadium hosted domestic supercup, Copa Sudamericana and will soon be a venue for 2015 Copa America. 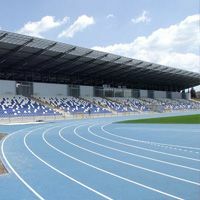 Meet stadium no. 1,500 in our database! 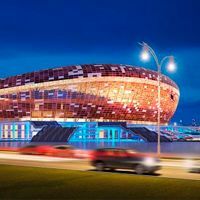 Contrary to July's declarations about prolonging Transstroi's contract to deliver the stadium, municipality of Saint Petersburg will launch a new tender to deliver the 69,000-capacity stadium. 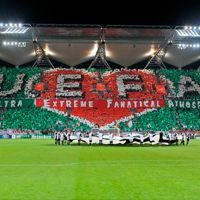 After unprecedented penalty by UEFA, Legia Warszawa supporters decided to chip in. 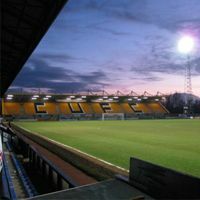 Along with their club they reached an agreement that sees all ticket prices increase if the buyer expresses will to pay more. These clubs are easily recognised by football fans in England, with or without playing in upper leagues. Their stadiums also have a story to tell. 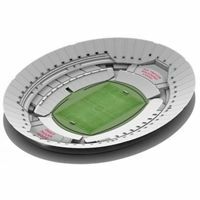 You can get a taste of it at StadiumDB.com today! 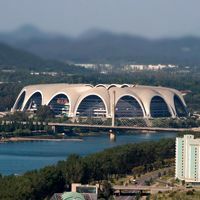 While the UN reports famine in North Korea, Kim Jong-un has ordered a redevelopment of Rungrado May Day Stadium. The goal is to have a venue “befitting the appearance of a highly civilised nation”. 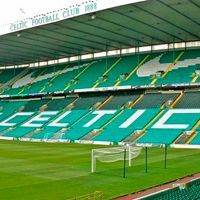 'It's time' – seems to be the motto at Parkhead as Celtic declare will to change some of their seating into safe standing. 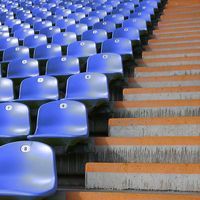 Law allows every club of the Scottish Premier League to do that, but no stadium operator introduced standing so far. 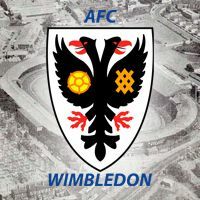 The fan-governed club aims at securing their new 11,000-capacity stadium at Plough Lane, the spiritual home of Wimbledon from pre-Taylor era. Will they succeed? 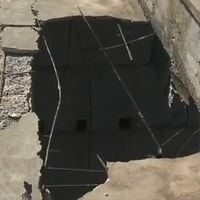 Shocking footage of the victims was shown live as they fell onto a concrete promenade. Stand collapsed under them, raising doubts over the country's largest stadium's safety. 24.09.2013 Zurich: Citizens oppose new Hardturm, what now? 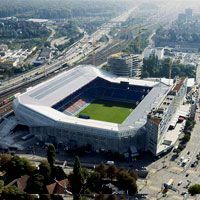 Sunday saw Zurich citizens vote on future Hardturm stadium, which in the end was rejected with a minimum majority against spending public funds on the project. 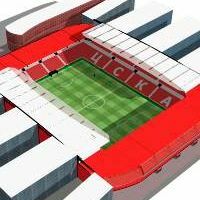 Can the stadium be built anyway? 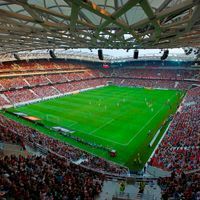 The second French new stadium for Euro 2016 has just joined our database after a thrilling opening game on Sunday. We also used this opportunity to present to you two smaller venues from northern France. 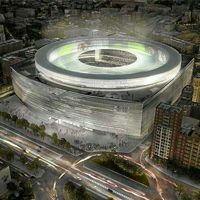 It's been a very long wait for Real Madrid supporters, but indications say it may soon come to a happy end. 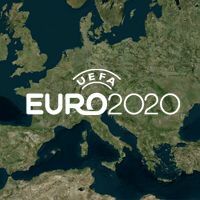 President Florentino Perez assured decision is to be made soon. 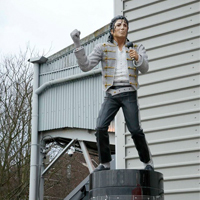 The Michael Jackson statue installed at Craven Cottage by former Fulham owner Mohamed Al Fayed is set to be removed., according to The Independent. 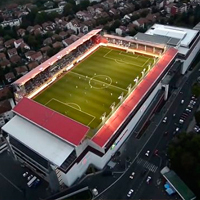 19.09.2013 Prague: Slavia stadium to undergo expansion? 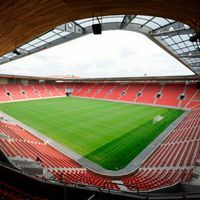 New owners of the stadium commissioned an analysis of potential expansion to Stadion Eden in Prague, Tyden.cz reports. 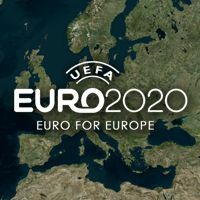 Though this comes with no connection to Euro 2020, it may be a response to FACR's ambitions of host the tournaments. 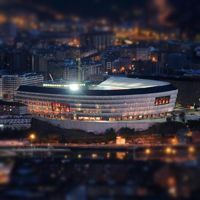 Will Sarajevo and Brno see their old, legendary, but completely outdated stadium replaced by new ones? It's too early to say exactly at this point. Still, both are worth the look! 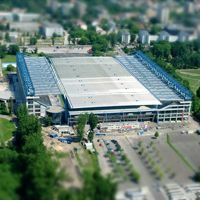 With exactly two months passing since the opening game, Ghelamco Arena still fails to receive a regular safety certificate. Before each game its inspected and given a temporary permission. This is to change soon. 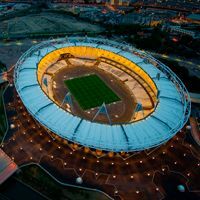 Despite their fans opposing the idea and LLDC already turning them down more than once, Leyton Orient are persistent in their efforts to gain tenancy of the Olympic Stadium. 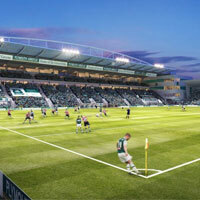 Latest move sees the chairman promise all club resale profits to LLDC in return for using the stadium. 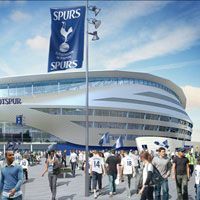 18.09.2013 London: Surprise bidder might win the Tottenham stadium contract? 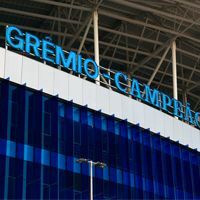 While most big names of the industry are expected to bid for Tottenham's new stadium deal, a new name arises and might surprise other candidates for the job. A joint venture from McLaren and Spanish FCC is said to be prepared. 17.09.2013 London: Who will redesign Olympic Stadium's stands? 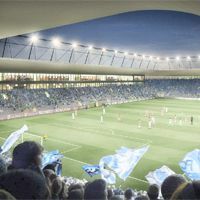 The London Legacy Development Corporation launched a tender to find designer, contractor and maintenance for the new retractable lower stands. Initial bids are expected until Nov 1. 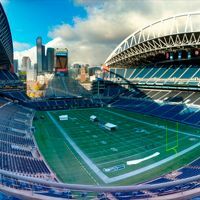 After months of preparations yesterday saw Seattle Seahawks fans beat the previous Guinness World Record by Galatasaray. The noise level was only slightly higher, but enough to make CenturyLink Field the world's loudest stadium by Guinness accounts. 16.09.2013 Poland: Legia stadium closed until spring for pyrotechnics? 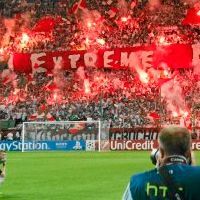 Extreme tensions arose in Warsaw, where regional authorities now threaten to ban supporters from all league, cup and Europa League games in 2013. The reasoning behind it isn't new, though. Red Star celebrated their stadium's 50th anniversary tonight. 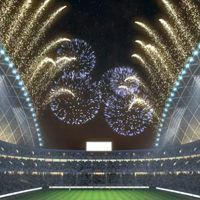 Free tickets and festive atmosphere were somewhat spoiled by events on the pitch, where little known rivals refused to lose with a last-gasp attempt. 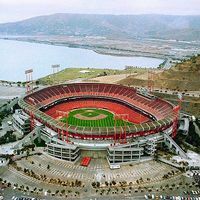 It' does resemble an earthquake in terms of logistics, because the new stadium in San Jose is already a year late. While foundations are yet to be laid, almost all premium seating for 2014 were sold. Now fans have to wait until 2015. We're presenting it today after a video was released, showing the impressive future structure in operation. But Arup's design dates back to 2010 and is yet to be implemented. 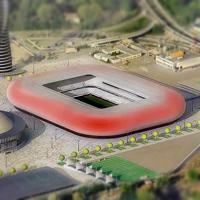 14.09.2013 Nuremberg: New stadium by 2020? It's not the first declaration by 1. 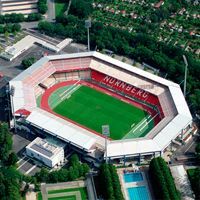 FC Nuernberg, but this time we know the estimated deadline for their new stadium. Feasibility study is under way and details should be known this autumn, according to RAN.de. 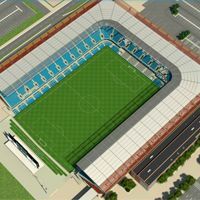 Private investor aims at building a new stadium in Sofia, but needs two clubs to share it. As CSKA was approached about a potential deal, the club rejected any contract of the kind. 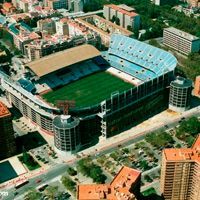 One of the most famous stadiums in Spain has been subject to unusual health warning. Swansea City inform their supporters about health risks associated with the away section at Mestalla. 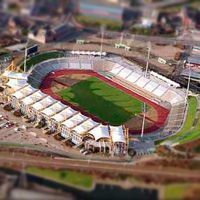 13.09.2013 Sheffield: Last major event at Don Valley Stadium? 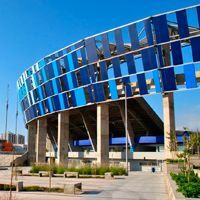 After September 30 the stadium is to be closed permanently, though some residents are applying to give it an important community asset status, which would prolong hope for Don Valley's existence. Meanwhile, last planned event is ongoing now. 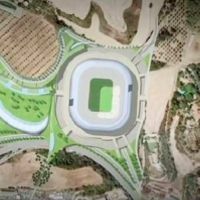 Piece by piece more details about the future stadium of Roma are being released. 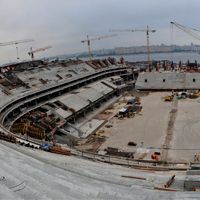 Latest information by club president James Pallotta include the deadline for work delivery in 3 years. 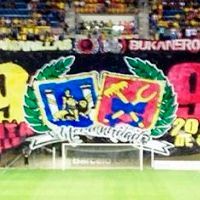 17 supporters of Cadis CF are to be fined with €6,000 each. Not for hooliganism, discrimination or any other disturbing behaviours. Their sole guilt is making a tifo. Yes, you read right. 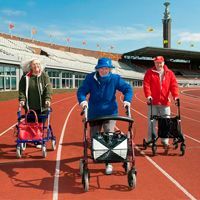 Of course it's not a regular race, but a catchy way to remind of good physical condition for the elderly. 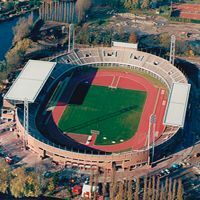 And quite fittingly the event is to be held at the 85-year-old Olympisch Stadion. Only a handful of homes remain to be bought before planning application can be submitted. 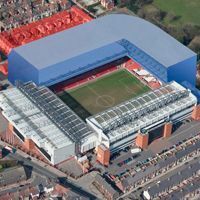 John W. Henry assured the Liverpool Echo about the 15,000-capacity expansion being safely on its way to start next year. 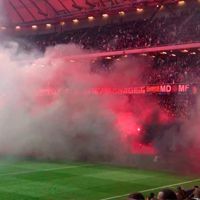 As part of building a nationwide strategy for sports events safety, members of the national police are to test various kinds of pyrotechnics at Friends Arena tomorrow. The aim is to establish whether there is a threat for spectators and legalisation of some materials is possible. Yesterday the MLS side revealed what was long speculated about. 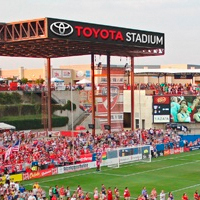 Toyota became the new sponsor of the Frisco stadium, second one after Chicago Fire's Toyota Park in Bridgeview. Interestingly, Toyota Stadium is a name shared with one more ground. In Japan. First ever Olympic stadium to feature a torch tower. Listed as a monument and home to a great sports museum. 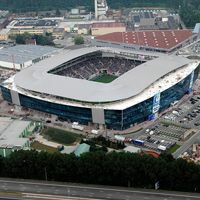 Host of three grand European finals and second home for Ajax. Do you really need more reasons to check it out? 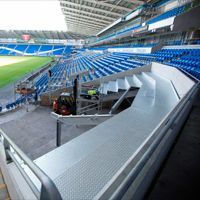 Altogether Cardiff City Stadium will earn some 900 new seats this summer, though the east stand's expansion is to begin next year. This was possible thanks to the club modifying current seating layout. It was to be the heart of 2020 Olympics, but after Tokyo was awarded the tournament Madrid's dreams were killed. The stadium isn't, though. 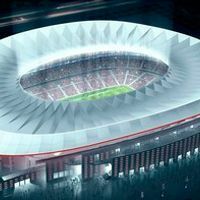 Atletico reassured that everything is being done according to schedule and the stadium should be ready in mid-2015. None of them is huge, so what? One was built atop a shopping centre, while another is host to one of Europe's largest open air festival despite being frighteningly small. This trio from Serbia was a must for us! Looking at the sad statistic of fatal falls, American NFL seems to be among the most dangerous leagues in the world. In the past decade over a dozen people died and the last episode of this frightening story took place last weekend. 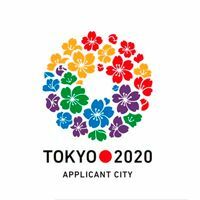 08.09.2013 2020 Olympics: Tokyo announced preferred host! With Spain in crisis and Turkey very unstable and compromised recently, Tokyo seemed the only sensible selection for the IOC. Thus today's announcement comes as no surprise. Worth some £10 million, the 4,800-seat grandstand is well on its way to be delivered within the 2-year deadline. Kier Construction has just been selected as preferred bidder for the construction contract. 06.09.2013 London: Tottenham to abandon their stadium design? 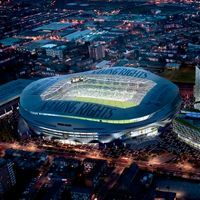 Just like fans of the club, we’re surprised to read in The Standard that Tottenham Hotspur assigned Populous to rethink the concept of the new 56,000-seater stadium. It is understood that a varying design may be expected. Jacques Herzog already has amazing stadia in Basel, Munich and Beijing in his portfolio. He claims designing more in these countries makes no sense and he aims at Spain or England. Also, this explains why he didn’t want to design the new Zurich stadium despite being in favor of it. 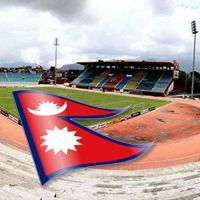 They may be a small and developing country, but Nepalese government has just revealed its impressive plan – a 40,000-capacity stadium to replace the current national ground. Before last weekend regional authorities in Poznan demanded that Lech fans clear stairways at their fanatic stand. Meanwhile after the weekend police in Stettin made numerous arrests only for that same behavior – blocking stairways. Why did this become a major life threat all of a sudden? 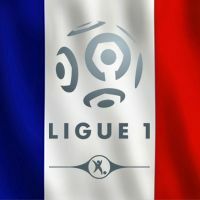 According to domestic season ticket summary by info-stades.fr, four clubs of Ligue 1 reached an all-time high. However, only seven team across the country managed to sell over 10,000 season cards. 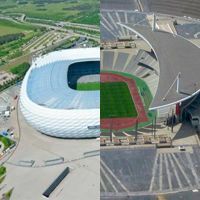 We can’t honestly remember the last time we added a rugby-specific stadium to our database, but these two deserve to be presented among France’s best football stadia. 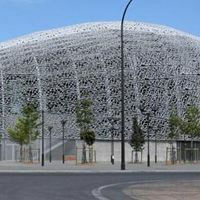 Especially that the newest one lies just meters away from Parc des Princes. More shade – that is the goal and in the near future even 100% of fans should be protected from the hot summer sun of Texas. 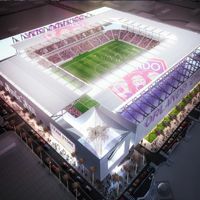 But with FC Dallas having their best season in a long time, the club may also increase capacity, according to MLSSoccer.com. Old stadium in this place was opened with a 1:1 and the new one saw the same result in the opening fixture. 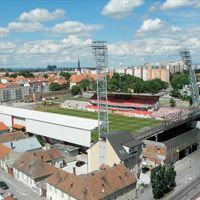 Current stadium is only a shade of past glory, but in the dramatic tale of Stal Mielec this still comes as a happy ending!